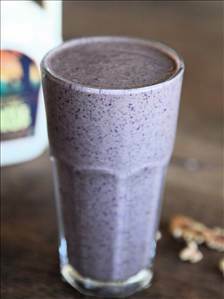 Healthy protein shake, quick and easy. Lower carb, higher protein version of blueberry muffins. Satisfying smoothie for breakfast or lunch. Great pancakes using fat free yogurt that cuts fat and calories, and boosts flavor with minimal effort.